Between 2004 and 2010, I attended/spoke at a number of conferences, traveling from my home in semi-rural British Columbia to places such as L.A., Las Vegas, Washington, D.C., New York, Montreal, Miami and Dubai. As much as I love meeting my colleagues and students in person, I found the rigmarole of business travel exhausting. Contributing to the frazzle, is the fact that we spend 4 to 6 of the colder months traveling the southern United States in our RV. By the time we get home in April, I'm not keen to travel much beyond my backyard. Fortunately, for those who are likewise disenchanted with business travel, virtual conferences are springing up everywhere. Indeed, Affiliate Summit and Social Media Marketing World are just two of the ‘real' conferences in the Internet, affiliate and blogging sphere that offer virtual conference ticket options. Here are 15 advantages to attending a virtual conference. If you work for a company that picks up your travel and hotel expenses and throws in a per-diem for food, the following section detailing conference costs doesn't really apply. But if you're a small business owner or a blogger just starting out in the business, the overall cost of going to a conference could be prohibitive. Ticket Cost – An Affiliate Summit all-access pass costs $1879 and Social Media Marketing World's full ticket price is $1497. Virtual ticket prices are about 1/4 the cost – $249 and $397, respectively. Airfare – Now add in the cost of flights. Judging from the options shown in the graphic below, I'd pick the most expensive flight because it takes half the time to get there! 🙂 Granted, flying from the west coast of the States is a lot less expensive than the west coast of Canada… … but don't forget to add taxes, airport and baggage fees into your calculations! 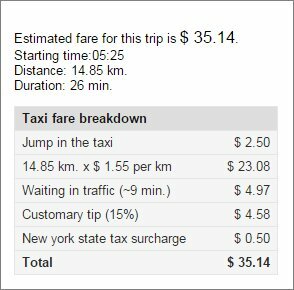 Airport Transfers – According to Worldtaximeter a taxi from LaGuardia Airport to the Marriott Marquis will cost $35.14 (times 2 if you plan to return home). Food and Beverage Costs – Did I ever tell you the story about my $23 sandwich in Las Vegas or the $8.50 bottle of water in Montreal? Unless you don't mind starving for a few days and can handle drinking tap water, factor in a couple hundred bucks for food and drink over the course of a 3-day conference. 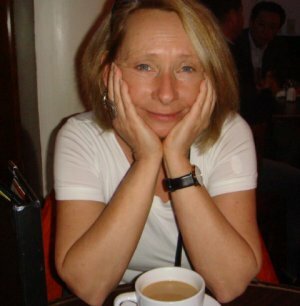 Clothing – ‘Fess up now, you will buy something new to wear, won't you? Sundries and Souvenirs – Forget to pack an important item? Absolutely must have those Empire State Building earrings? Add those to the bill! Time – The two days you would spend traveling to and from a conference are days you can work on your business, hang with your family, or both. No Customs and/or Security Lines – Going virtual means you won't have to stand in line for goodness knows how long only to remove your coat, shoes and jewelry to stick 'em in a box to be scanned while you get stuck in another box to have yourself scanned. Oh, and those security personnel can be rough on equipment – they killed my Sony Vaio on one trip. No Taxis – While I enjoy chatting with taxi drivers to find out where they're from and how they ended up where they are, I'm willing to forgo that pleasantry to avoid being grossed out by dirty cabs and fearing for my life while in transit. No Bedbugs – You might be shocked to learn at what fine hotels these nasty little critters have been reported. Check the Bed Bug Registry. Stay home – enjoy your own bed and pillow. More Sleep – I've never been able to muster the discipline to get to sleep before 4 or 5AM when I'm at a conference. Now in my mid-50's, the side effects of sleep deprivation are clearly undesirable for the next day — or three. (Picture taken one morning at ASW09). No Blisters – Conference halls are invariably half a mile from the hotel room towers and your room is sure to be at the end of the hall. Walking that stretch 4 to 6 times per day in heels is going to hurt. Stay Healthy – First, you cram yourself into a tube of stale, putrid air for hours. If that doesn't make you sick, then 3 days of handshakes, hugs, and brochure handling may just do the trick. Plan to write another week off work to hack and spew. Environmentally Friendly – By not traveling to New York from Penticton via Vancouver, the world is spared an additional 0.67 metric tons of CO2e. (Doesn't include carbon emissions from airport transfers). Furthermore, the local landfill and recycling center are not burdened by all those conference materials. OK, much of that was tongue-in-cheek and there are dozens of reasons why it's great to go to a real conference. In the meantime, Social Media Marketing World's virtual ticket prices increase from $397 to $697 on Friday, March 6th. Get it now and avoid a nasty cold! Reader Demographics: Do you attend industry conferences? The above points give us major benefits of virtual meetings. But I would like to add that in addition to above points, successful virtual meetings also require use of quality tools like WebEx, GoMeetNow, Gotomeeting, R-HUB web conferencing servers etc.